“I was waiting to see my son cry, for it would mean he was healthy. But he didn’t. There was absolutely no reaction. Only silence that put my son’s life in danger was having its say. 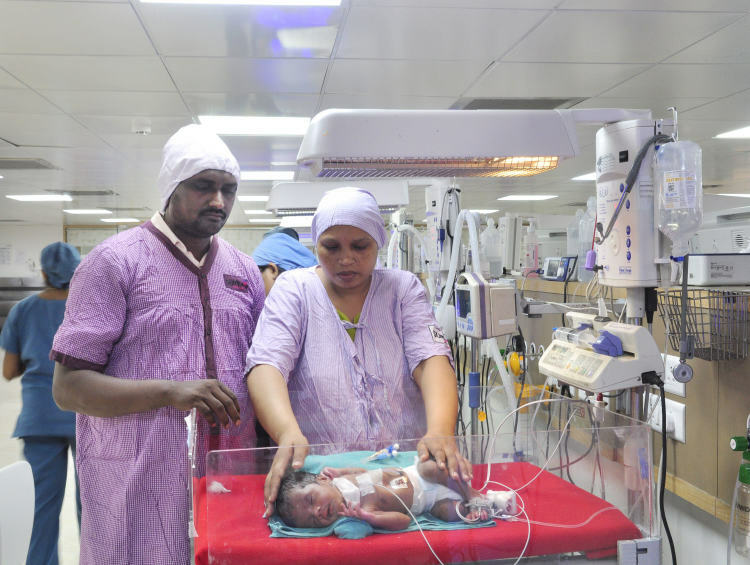 My wife, Ruksana, was unconscious after the cesarean delivery, while the baby she had not even seen had to be rushed to another hospital” - Nizamuddin, the baby’s father. Even before he could see his mother’s face, he was struggling for breath. The doctor was visibly worried and suggested that the baby be moved to another hospital immediately. Medical examinations confirmed Esophageal Atresia- a condition where the esophagus is broken, making it impossible to feed. This was just one of the two life threatening conditions the baby was born with, with Intrauterine Colonic Perforation being the other. An acute stomach infection and a hole in the gastrointestinal tract meant, only an immediate surgery could help the infant escape death. 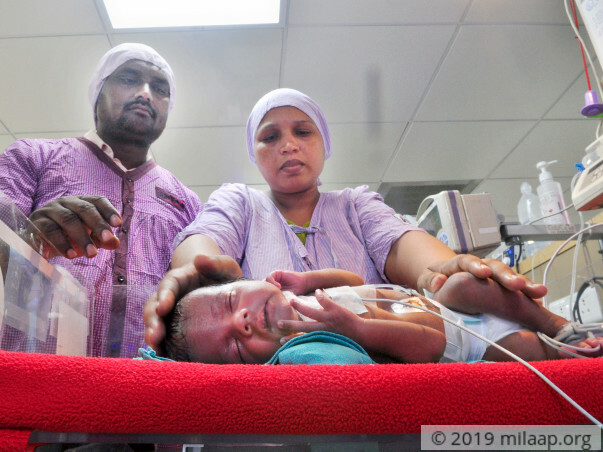 While the surgery, just two days after his birth, has helped the baby survive, he requires at least two weeks of ICU stay and another surgery 6 months later to have any chance of living longer. The baby hasn’t fed for 3 weeks and is surviving on ventilator support and the only food he has had so far is Intravenous (IV) fluids. “We wanted to name him Mohammed. His two sisters could not wait to see their little brother. Now, three weeks after he was born, they haven’t had a glimpse of him. Ruksana can’t bear to believe that her son hasn’t fed once. She can’t come to terms with our baby being in the ICU. We can’t imagine the pain he is going through with needles and pipes,” says Nizamuddin as he looks at a picture of the only time he has seen his son and tries in vain to keep tears at bay. 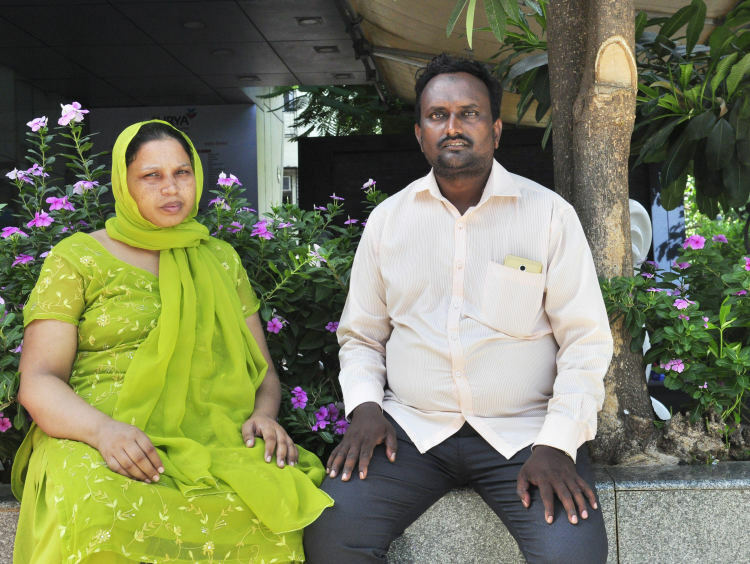 Mohammed is employed as a driver and earns barely enough to pay for the family’s necessities. 4 years ago, he was operated on his leg and was confined to home for a year. During this crisis, Ruksana worked as a househelp and helped the family fight poverty. Ever since then, debt, unfortunately, has become a constant. This baby needs to stay in the ICU for at least a couple of weeks to have any chance of surviving. But his parents have spent more than a lakh so far and cannot afford the 4.25 lakhs required for the treatment. 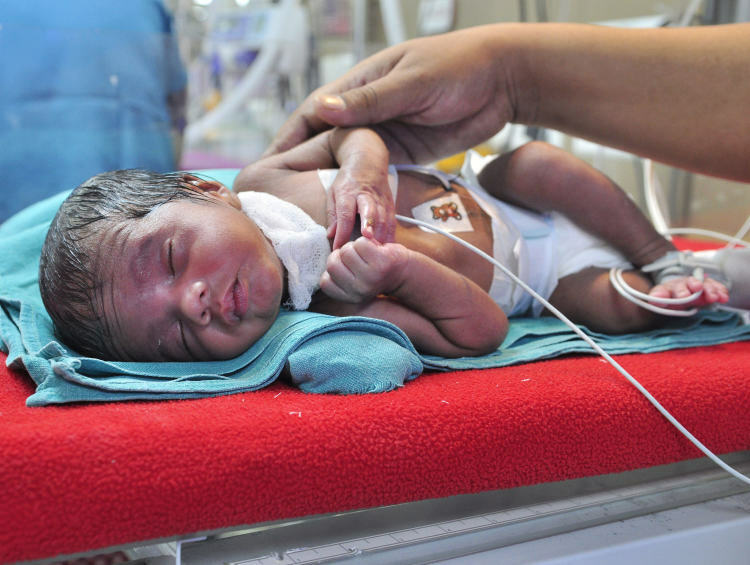 Your support will help the parents see their baby alive. 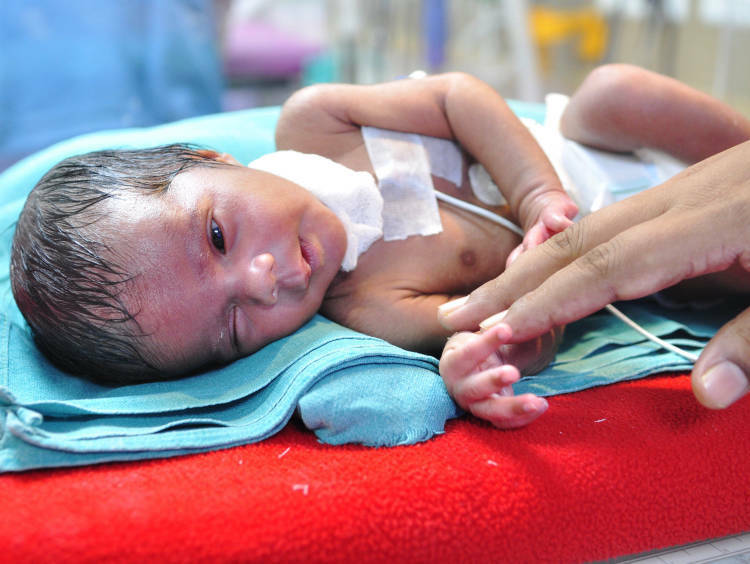 Your support will help the baby survive the critical condition and live a healthy life. The baby is discharged on oral feeding and to follow up in OPD for weight monitoring.At the time of discharge the baby was stable. 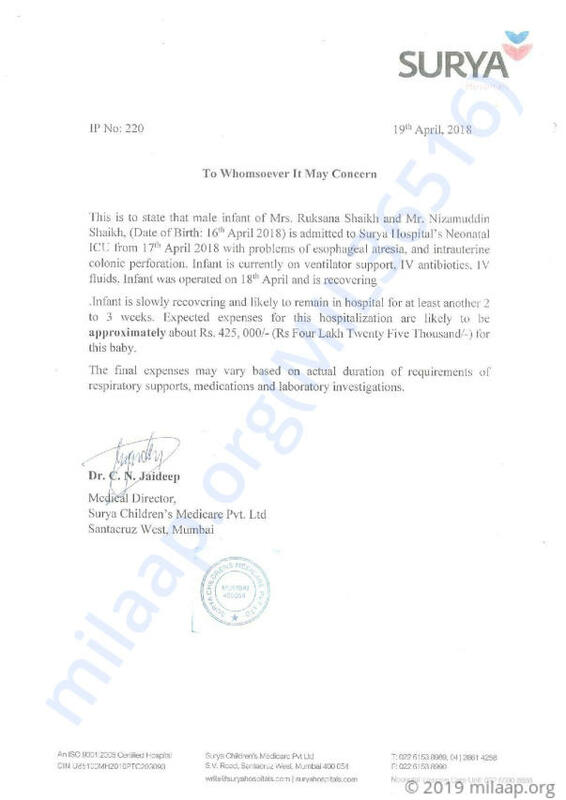 The parents have been explained for future plan of surgery and we will keep you posted on this further. The baby is currently doing okay. The doctors have told us that the baby needs to undergo one more surgery. This will be to reconstruct the baby's oesophagus and aid in feeding. Please keep praying for the baby. We shall keep you posted once the surgery is scheduled and there are further developments. It gives me immense pleasure in informing you all that the baby is now doing better. The doctors have told us that they would schedule a surgery for the baby in a couple of months. 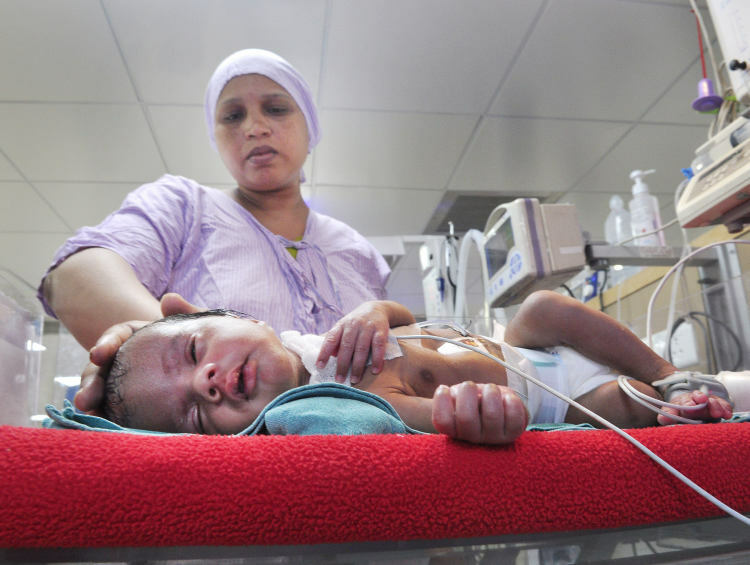 Once the baby gains enough weight, the doctors will go ahead with the surgery. Please keep praying for the baby. We shall keep you posted. Thank you everyone once again.